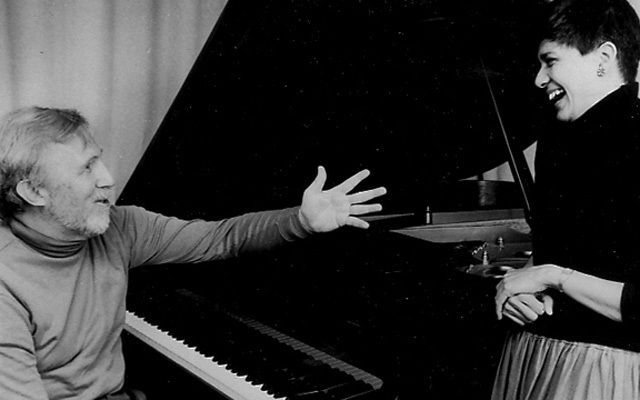 Pianist Ran Blake has been known for his duo work with vocalists dating back to his 1962 collaboration with Jeanne Lee, The Newest Sound Around (RCA Victor). In recent years, he has been working with three individualistic singers, Sara Serpa, Dominique Eade and Christine Correa. The year 2017 brought a session of folk songs and soundtrack music with Eade, the excellent Town And Country (Sunnyside Records). This time it’s Correa’s turn in a program of mostly jazz and pop standards. Correa has a thick, aggressive singing voice reminiscent of Abbey Lincoln, and is often the commanding focal point on these duets, while Blake provides icy backgrounds. This really comes out on Ornette Coleman‘s “Lonely Woman,” which she starts with a chilling solo blues-tinged scream before tearing into the lyrics with a forceful Middle Eastern wail, as Blake strikes bell-like single notes and ominous chords. On “Out of this World,” “All About Ronnie” and “Bebopper,” she sings with more ease and melodic flow but maintains a sharp, angular phrasing that plays well off Blake’s fragments of swing and bop piano. She really struts her vocal prowess on a Sephardic folk song “Ah, El Novio No Quere Dinero” and a noirish, a cappella version of Blake’s “Wende.” But her most extravagant performance is on an eight- minute version of Ivan Lins‘ “Love Dance,” where she sounds alternately yearning, poetic and ghostly over Blake’s deliberate, moody playing. that departs from precedent, sometimes radically. already had laid for her. fearlessness, the road opens to exhilarating possibility.